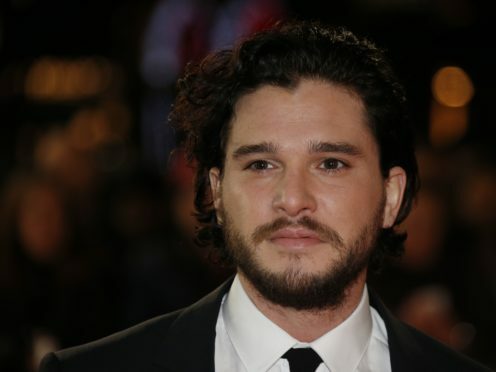 The British actor will be reprising his role as Jon Snow in the eighth and final season of HBO’s behemoth when it returns next month. During an appearance on The Late Show With Stephen Colbert on Tuesday, Harington discussed the impact of the massively popular series. He said he “can’t quite grasp” the level of fame he has achieved since first playing Snow in 2011, and joked he “couldn’t even grow a beard then”. Harington, 32, said the journey had been “extraordinary” and at the outset “all I knew is I booked a pilot on an HBO TV show and that was just winning the lottery anyway”. He also discussed the impact Game Of Thrones has had on politics and said some politicians may have taken inspiration from King Joffrey, a tyrannical ruler who is cruel to his subjects. HBO is notoriously defensive when it comes to spoilers for its premiere series and London-born Harington said it was difficult to avoid spilling any secrets. And he revealed he was consistently wrong about guessing what would happen ahead of each season. The trailer for Game Of Thrones season eight arrived on Tuesday and featured Maisie Williams as Arya Stark and Emilia Clarke as Daenerys Targaryen. It returns on April 14.